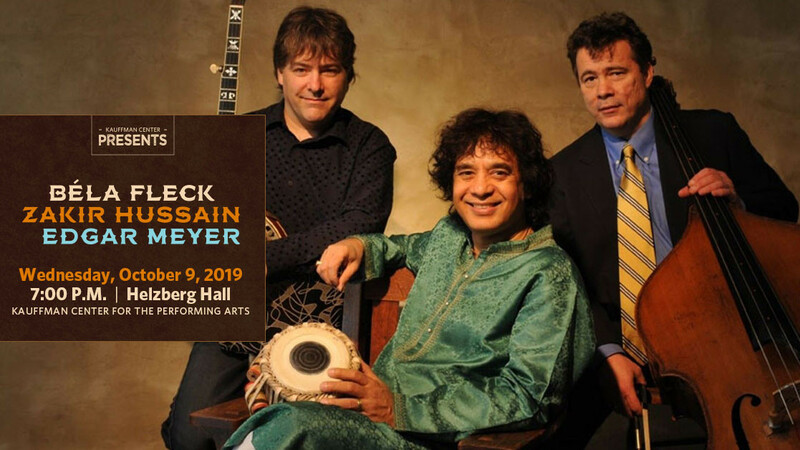 Three of the world's most renowned musicians, Béla Fleck (banjo), Zakir Hussain (tabla) and Edgar Meyer (double bass) will take the stage together at the Kauffman Center For the Performing Arts in Helzberg Hall on Wednesday, Oct. 9! The three move with ease between classical, bluegrass and world music, touching every stylistic corner of the musical world. Tickets go on sale this Friday, but Bridge listeners can buy tickets before they're available to the public, starting Thursday, Feb. 7 at 10 a.m. to Friday, Feb. 8 at 10 a.m., using the password BRIDGE after clicking on this link or the poster below!